Could this be the pitiable fate of Nigerians in this Xmas season or one of the shenanigans of these ponzi schemes or are the gods angry with Nigerians? Well, I don't know but I think something is wrong somewhere. While affected Nigerians are yet to get over the incessant weariness and disappointment caused by Peter Wolfing's inability to launch the phase two server of the Ultimate Cycler on Sunday as promised, the father of all ponzi schemes, MMM, has added salt to injury by freezing all confirmed mavros of its members for a month. The reason for this measure is evident. We need to prevent any problems during the New Year season, and then, when everything calms down, this measure will be cancelled. (Which we will definitely do). Going by this notice, members of the scheme will not be allowed to 'get help' till January, 2017 as their 'available for withdrawal' keeps showing zero naira(#0) since the notice was posted. What will be fate of those Nigerians who had planned their Xmas with the 30% bonus of their investments? Is this a way of saying goodbye to Nigerians? 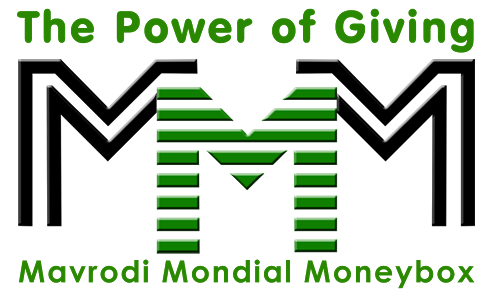 Will MMM keep to its promise after one month as stipulated on the notice? Will you still be a part of the scheme if MMM keeps to its promise? The decision taken by the management of MMM is to protect its interest and that of its members. We all know the period we are in comes with lots of festivities and the possibility of members getting help this period is about 90.5%. If about 90.5% members of the scheme should get help, who will then pay the 30% bonus to these persons? Do you think the remaining 9.5% members(who might not get help)will be able to pay these 90.5% members? It is also important to note that MMM does not have a central account; members pay themselves. Some members might have even thought of quitting the scheme after getting help this period. To avoid all these, the management had to come up with this idea of not being able to withdraw or get help in order to keep members in the scheme till January when every member will be willing to invest again. Though it is a good strategy especially in business, what becomes of those who had built the walls of their Xmas on the help they are going to get soon from the monies they've invested in the scheme? If all confirmed macros are frozen, I don't think members who have provided help can get help. Do you think there is a way out? To All Nigerians: IMPORTANT NOTICE FROM MMM Nigeria. A Must Read! "Hence, on the basis of the above mentioned, from now on all confirmed Mavro will be frozen for a month. "- MMM Admin. Please this statement does not in any way mean that MMM activities have been suspended for a month, it only means that the usual two weeks RELEASE DATE will no longer hold, ur mavro must complete a month. all get help are still going to be paid, if u provide help 2day, ur release date will be one month from now. keep providing n getting help. Please rebroadcast this message till it becomes clear to everybody. It's rather unfortunate that even some MMM guiders got this message wrong. Thanks.